Great news from OneEgg CEO Chris Ordway! The ASR partner has received $341,490 from Arkansas poultry giant Tyson Foods and its subsidiary Cobb-Vantress to establish an egg-producing farm west of Haitian capital Port-au-Prince. In addition to supplying much needed nutrition for local children, the farm will create jobs in the community and become self-sustaining over time. OneEgg began its work in Rwanda and has expanded to 8 countries, its mission to provide animal protein to undernourished children. 53% of all deaths of children under 5 are due to malnutrition. One egg provides 13 different essential vitamins and minerals needed for proper development. 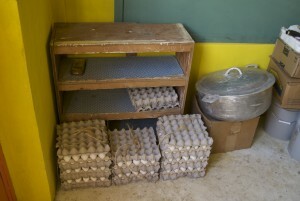 For the past year, OneEgg has been supplying an egg a day for 135 students at the Aid Still Required Academy/Ecole Cuperlier in south-central Haiti. Eggs are delivered on a bi-weekly basis. 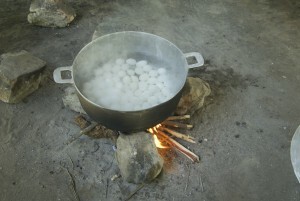 Community volunteers arrive at 6 AM each morning to prepare eggs for the children’s arrival. ASR and One Egg are also seeking a poultry farm in the northern Haitian city of Cap Haitien, home to 175 children at ASR’s OADENN Children’s Enrichment Center. 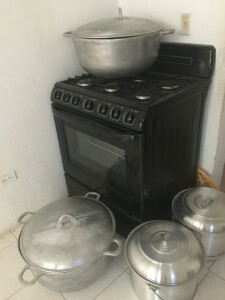 Our friends, Los Angeles-based Hummingbirds Foundation have supplied the Center with a beautiful stove, cooking equipment, and serving supplies in anticipation of the launch!